She and her luggage were leading a glamrous life! Eek! I love everything about this image!!! 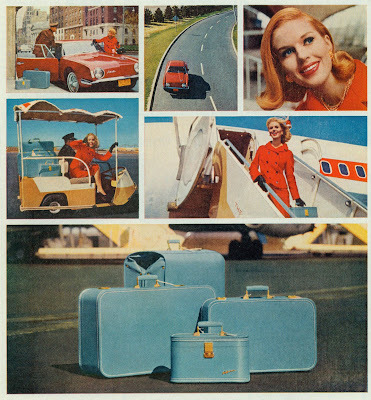 I had red Lady Baltimore luggage. It was a graduation gift in 1966. I loved it!!!! !